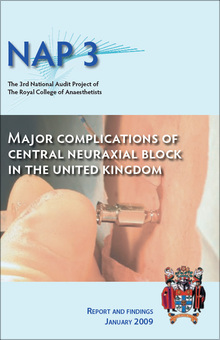 Central neuraxial blocks (CNB) involve the injection of pain-relieving drugs into the spinal canal. CNB has the potential to provide patients with optimal pain relief, but can also lead to patient harm. The number of CNB performed in the UK was previously unknown, as was the frequency with which CNB leads to harm to the patients. What types of CNB are used in the UK, and how often? How often do major complications, leading to permanent harm, occur in association with CNB? What happens to the patients experiencing these complications? 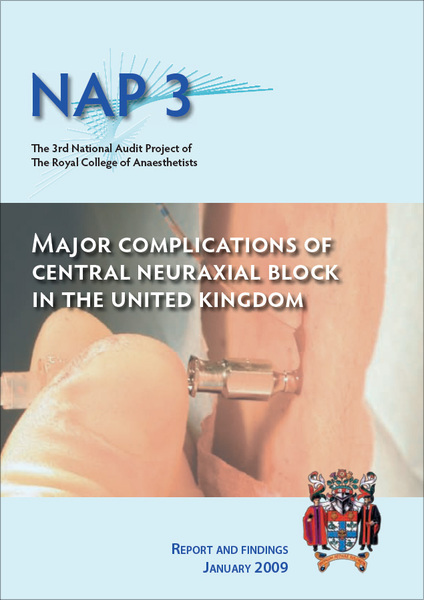 Please click below to download the sections of the NAP3 Report.